I joined Capital One to drive design and roll out of their tablet-based credit card application for Costco Canada. The project underwent two rounds of research and finalized with on-site roll out of the application, which included training Costco Canada employees to effectively use and manage the new applications independently. Costco Canada had been using paper credit card applications, and I was brought on to transition them onto a tablet application. As a starting point, I followed template based on Capital One's standard partnership credit card applications, below. Through role playing with current Costco employees, we were able to test drive our V1 application to identify pain points from the employee perspective. We also recruited participants as customers while we played the employee role. Here is an example where our findings that led to a redesign of the flow. Customers were not clear as to what an authorized user is, often filled out their own information again, and the duplicative effort caused frustration. We added instruction to provide context. The language in this section was vague – "Add an authorized user" to what? "Address same as above" – whose address? Address fields were created to help accurately record their address and avoid spelling errors. The V2 tablet application was then rolled out across Costco Canada warehouses from September 30 onward. As part of the roll-out team, I observed and interviewed Costco employees on their first day of transitioning from paper applications to the iPad experience. We piloted the application in one warehouse. During the roll-out, we uncovered a key issue that needed immediate troubleshooting. 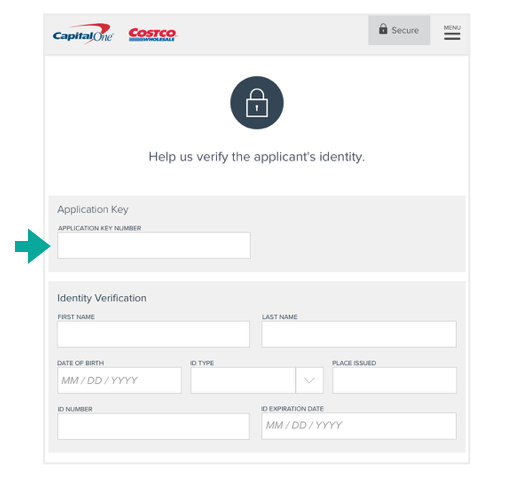 Our application needed to communicate with Costco's internal CMS to acquire a unique application key for each applicant as part of the Know-Your-Customer (KYC) process. However, if the employee progresses to the next page and attempts to return to the KYC page to edit an applicant's name or date of birth (something we observed several times during the day), the API would run again and invalidate the original application key. I sketched out and created a solution that locked the application key field after the key was entered. This way, the field would not refresh when a user returned to this page. This fix was implemented before the application was rolled out across warehouses across Canada in October. As part of the roll out process, I also designed a training prototype that would be used by a manager to teach employees how to use the new iPad experience.